Make sure your REALTOR® business card never ends up in the bottom of your prospect’s desk drawer again. 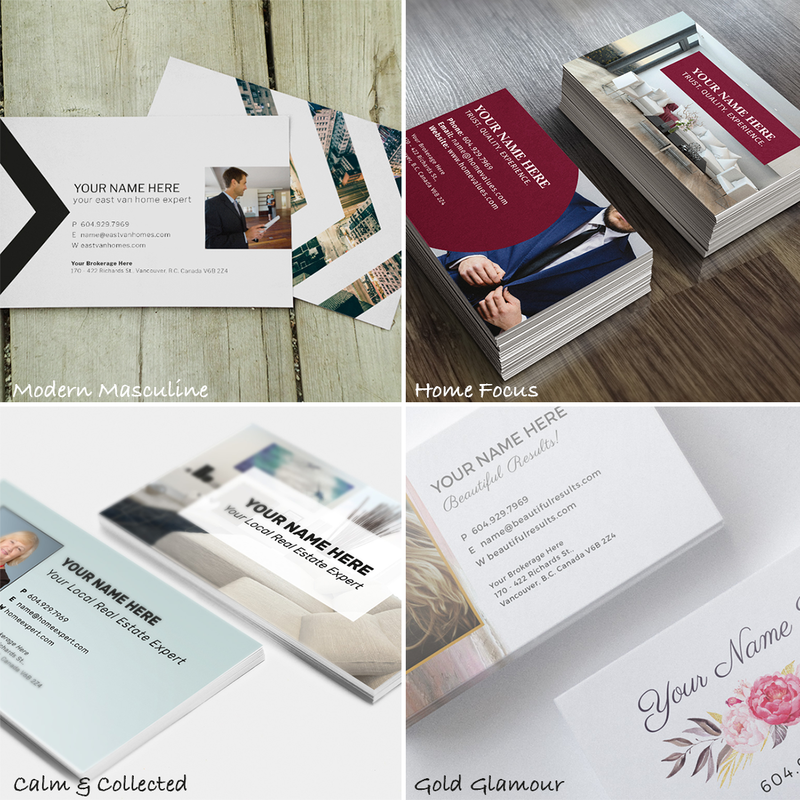 Make a long-lasting first impression of your brand with one of these four customizable business card templates. These designs were created for Dojo readers like you by our awesome design Ninja, Roxanne. Want to download this freebie right away? Jump to the bottom of the page. Important Note: This download includes graphic design templates, which can be opened and customized using Adobe Photoshop or Illustrator. If you are not familiar with this graphic design software, please contact a professional to customize these files for you. Customize 1 of these 4 REALTOR® business card designs for your business. Click to see larger! Hi again everyone! We’re back with more awesome free marketing items for you. If you’ve been reading the Dojo for a while you’ll remember when our first free luxury real estate business card template was released – they were a big hit! This time, we’re proud to offer some even better new designs to jumpstart your fall marketing endeavours. We have four designs for you this time – pick the one that suits your brand the best, then start customizing and printing! Perfect for the savvy city-slicker, this card encompasses a simple chevron design and professional type. For experienced teams or solo agents that want to showcase the warmth of their brand. Switch out the photos and really make this design your own. Keep the gentle colours or uproot this entire design. Replace the photo or keep the standard one. It’s all in your hands. Looking to inject femininity into your brand without going overboard? Artsy flair meets modern script and beautiful textures in this eye-catching design. These were created in Adobe Illustrator, so those of you who are a little more tech-savvy but don’t have Illustrator can try downloading Inkscape for free to edit these files! Otherwise please refer to a professional designer to help you out. We’ve done most of the work so it won’t cost you much to have a couple changes made. We hope you enjoy the new business card designs! *Note: please allow up to 5 minutes for your file to arrive via email.